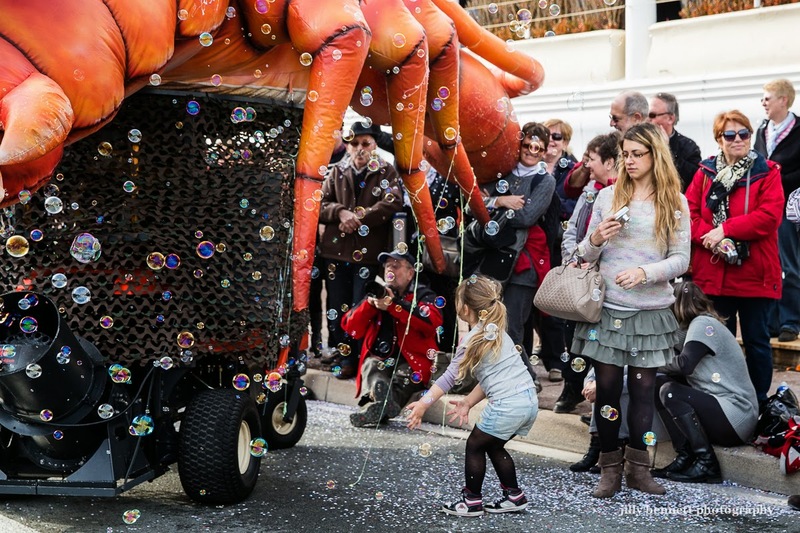 A lobster and bubbles and kids having fun - all part of the Corso at the Fête du Citron in Menton. 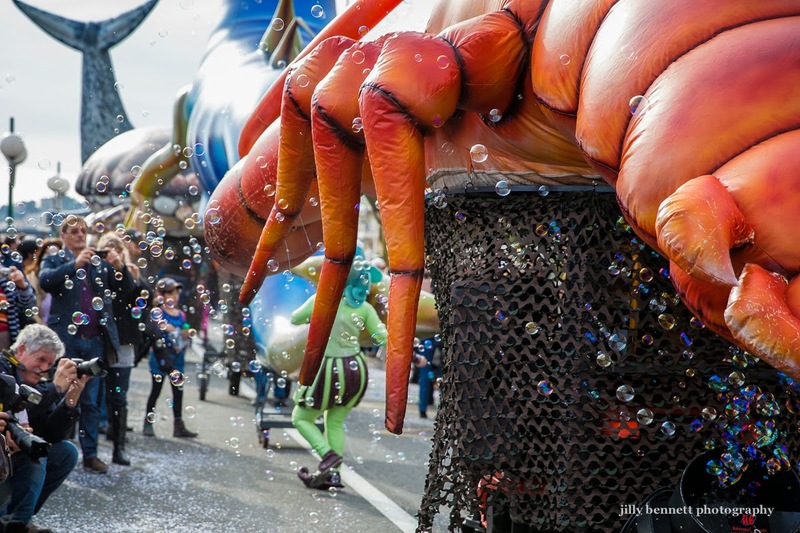 Un homard, des bulles et des enfants qui s'amusent - tout cela fait partie du Corso de la Fête du Citron à Menton. I like the expressions in the faces you're capturing here. The young lady should avoid getting any farther under those legs. This is at once beautiful, entertaining and bizarre.